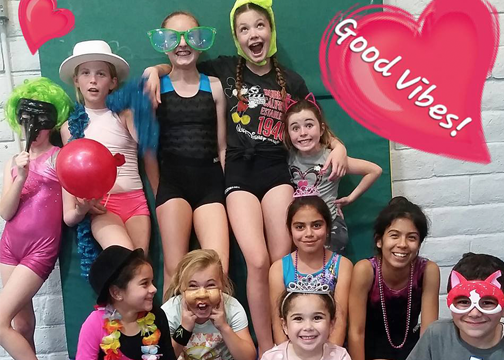 Vibe Gymnastics | Orange, California – VIBE Gymnastics in Orange, California. Where dreams become action! Call now to start Dreaming in Motion! (714) 931-8354. Come fly with us at Vibe! Join us for our Gymnastics, Tumbling, Parkour, Urban Acrobatics, Ninja Warrior, Tricking, Slack Line, and Aerial Circus Arts Programs! Level up and join Vibe's champions on our competitive team. Ever wanted to perform incredible feats of body weight strength yet move gracefully like a ninja? This class is designed for young ninjas to develop their motor skills necessary through balance, agility, strength, and endurance training. Make your child's next birthday unforgettable, come celebrate your special day at Vibe! Give us a call and reserve your party today! Our goal is to empower young kids and create a platform so they can experience true success, self-worth, and creativity. We are excited to share our love of gymnastics and athleticism. We strive to build a culture that nurtures a love of fitness, as well as a deep sense of confidence, and self-expression through creative movement. 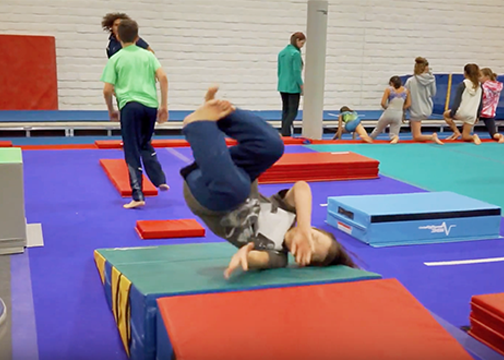 We believe gymnastics encourages a strong sense of discipline, which is sure to transfer to other areas of a young person’s life. We provide opportunities for the athletic advancement of children at all levels regardless of previous experience or skill level.